Orlistol BlockerDrops are the most powerful diet aid of its kind, working through multiple pathways to help you lose weight faster than you ever thought possible! Imagine never having to swallow another pill again, AND seeing increased results due to the power of sublingual absorption. Powerful carb blocker and fat blocker. Amazing product for those on a Ketogenic Diet! Orlistol weight loss supplements have had several years of in depth studies and focus group marketing to determine the ultimate combination of ingredients to finally help you win the fat loss struggle. In several studies, those taking Orlistol BlockerDrops lost 37% more weight than those using a placebo. They also consumed 20% less food at each meal! The BlockerDrops formula, when taken sublingually (under the tongue) is absorbed directly into the bloodstream within minutes, avoiding the pass through your liver that breaks down the ingredients and passes most of them off as waste! Its powerful and complete formula utilizes a comprehensive, multi-system approach to fat loss and appetite suppression. 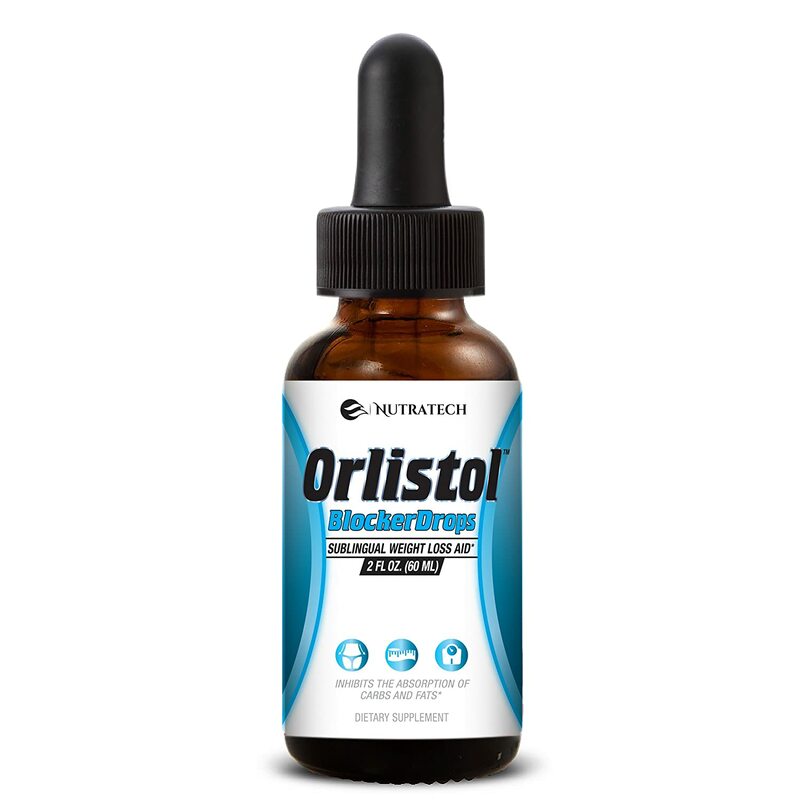 Powerful, yet safe and effective for both men and women, Orlistol BlockerDrops ignite extreme thermogenesis and fat loss without any jitters or side effects. Just imagine losing a free pound for every 2 pounds that you are already losing without any additional change to your diet. And if you really want to blast that extra fat away, pair it with our powerful thermogenic fat burners Atrafen and Atrafen PM for amazing energy and greatly increased metabolic rate. Stop letting fat and carbs get in your way! Try Orlistol BlockerDrops today, and like all of our products, if you don’t like it, you don’t pay for it. We offer a no questions asked money back guarantee on every one of our products! Orlistol’s proprietary sublingual diet drops formula is the only supplement available that inhibits both the absorption of carbs and fats, allowing them to be passed through the body before they can be broken down and stored for energy (as fat). The sublingual drops start working in just minutes, providing a bioavailability that is 2-3 times as high as a tablet or capsule. While dieting, Orlistol BlockerDrops act as a powerful appetite suppressant, making you eat less while blocking the carbs and fat that you do eat, acting as a very powerful dual action fast weight loss aid without the bloating and gastrointestinal issues seen with swallowing capsules. Orlistol BlockerDrops can help you lose an extra 1 pound for every two pounds that you lose through dieting alone. It is also amazing for those planned (or unplanned) cheat meals, greatly reducing the damage done while ingesting additional calories! On a ketogenic diet? You need orlistol. Orlistol diet pills can get you into ketosis fast and keep you there. Even if you do cheat a little!